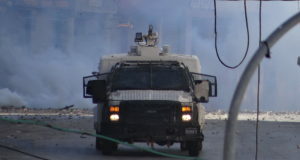 Erected in the duar (city center) in the northern Palestinian city of Nablus, is a large tent utilized throughout the day by those in solidarity with the exceeding-one-hundred Palestinian administrative detainees. “We will stay here as long as it takes” says Yousef, a Lawyer and University Lecturer, implying that the tent will remain until the hunger strike ceases. Within the tent sits two fathers who are holding posters of their sons’, both married with children, one a journalist with a masters degree, the other with a doctorate; hence encapsulating the political motives behind these illegal incarcerations. There have been dispersed hunger strikes by activist groups for one day at a time in solidarity with the prisoners. 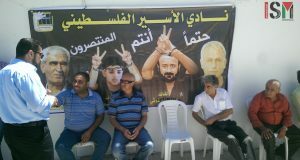 Currently on its 24th day, the hunger strike is in objection to the ‘administrative detainee’ prisoner status, prisoners can be detained without a criminal charge, little to no visitation (in some cases none for months), inadequate to no legal representation, exploitative prisoner treatment, and lengthy/nonexistent trials. On the 20th day salt was excluded from the diet, which now consists entirely of water. Detainees are constantly denied proper medical care, while clothing is confiscated. Beatings, isolation, and violent raids of prisoner cells are common realities. In recent developments, the Knesset (Israeli Legislative branch) is debating legislation to grant Israeli personnel authority to force feed hunger strikers. Meanwhile, the occupants of the tent are calling for more honest and widespread media coverage, alongside an increase in foreign support.